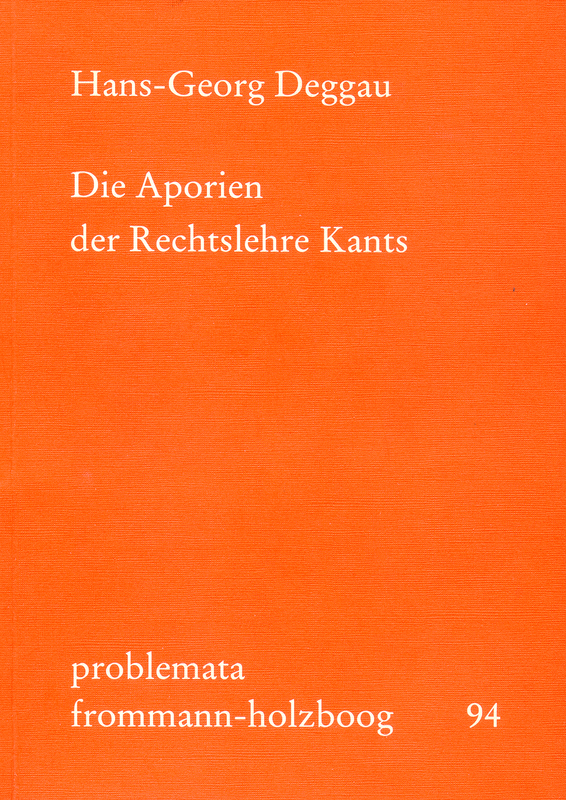 Kant’s ›Rechtslehre‹ (Doctrine of Right) claims to be an a priori system of right. It does however not live up to this claim. In fact, the fundamental concepts and their explanations are shown to be contradictory. Kant’s reasoning gets into aporetic constellations from which it is not in a position to free itself. It is forced to draw on empirical moments. The resulting aporias are however due to the subject-matter itself, the theory of right which has to be created.